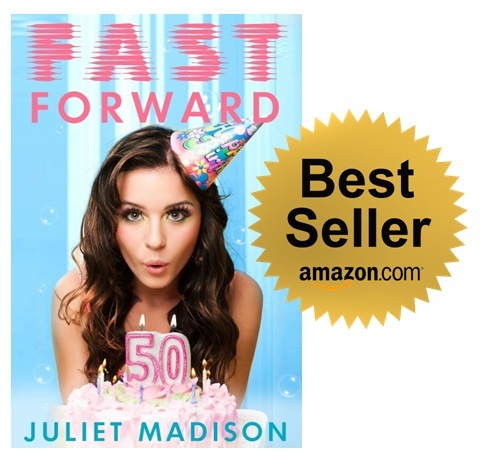 Fast Forward is an Amazon Bestseller! I got the surprise of my life tonight (well, this morning since I haven’t been able to sleep), I went on Amazon to look for a book and just happened to go to the page for FAST FORWARD, and thought I’d check the rankings as I hadn’t done so in a while. My jaw hit the floor and I gasped. Was I seeing things? So yay, twelve months after publication and my book baby hit the big time. I am SO pleased, and SO grateful to my publisher, Escape Publishing for saying yes to this book. I know that Amazon rankings go up and down quite quickly, so who knows how long this will last, but I am enjoying it while I can and just so thrilled that it made the Top 100 and I got to snap a couple of screenshots. And guess what? It’s on special for a limited time! You can download it for only 99 cents. >> You can also buy on the UK Amazon and the Australian Amazon if you prefer. You can also read reviews on Goodreads or add it to your shelf here. Posted on February 25, 2014, in Announcements, Books and tagged 99 cents, 99c, Amazon bestseller, Amazon Top 100, bestseller, escape publishing, fast forward. Bookmark the permalink. 6 Comments. Wow!!!!!!! Congrats, that’s brilliant news!!!!! !